Multiple sources inform me that the IPL season is now over. I wasn’t sure until I saw Indian cricketers play Pakistan last night under the watchful eyes of His Majesty His Highness His Holyness Sir Lord Lalit Modi. Jokes aside, I loved this IPL season even though I didn’t get to watch much of it. Rather, I didn’t want to watch any of it. And I am trying to erase all evidences of exclaiming “Fixed” or “I jinxed it” whenever something fishy seemed to have happened on during the IPL. You know, I don’t want to go to Tihar for 6 days and then left out and wait for judgment on it till 2017. Oh, I said ‘jokes aside’? I lied. IPL is a joke. You must be plugging your ears and screaming *la la la la la la la* if you think otherwise. Even Lalit Modi thinks it is a joke. And he is the original puppeteer of the Indian Cric…I mean…Premier League. I love how the insiders of the IPL work. They want in when there is something in for them. Like, Rajiv Shukla came in when they (I believe “they” means BCCI) ousted Lalit Modi. 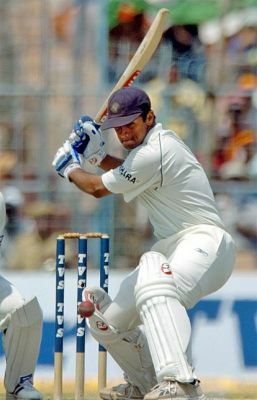 In an age where we debate the importance of DRS in a cricket game, I am not even sure Rajiv Shukla can tell a right handed batsman from a left handed one. If you need a non-cricketing fellow at the top of IPL to make ridiculous statements, why not appoint someone like Shreya Ghoshal? At least those ridiculous statements will sound sweet. Anyway, let us assume Rajiv Shukla, or his son, or his son-in-law has (vested) interests in the game. Because Rajiv doesn’t. I mean, who goes on to say that he is happy for India’s loss in England because now cricket can grow in England, who have been losing in cricket and football for the past decade? IPL had a spot fixing scandal this year. I think this will bring an end to the IPL………………………………………….rulebook of allowing towels to the game. IPL players can’t even spot-fix properly. One of the involved players forgot to signal the over the deal was made for. So, IPL is imperfect even in the imperfect scenario. IPL team owners have been involved in betting. How the CSK owner enthusiast lost more than Rs 1 crore by betting on his own team is beyond me. I think he should be punished by the long arms of bookies first, and then by the law. The RR owner also placed bets which his wife denies, he accepts, his wife blames somebody else for misusing their contact, he accepts, his wife cries foul, he accepts….maybe a few days later, his wife will also accept. Not all actors get their dialogues right in the first take. As soon as the first breakthrough was made in the spot-fixing case, everybody from everywhere fired bullets – “XYZ should resign.” Most of the substitutions for “XYZ” were BCCI Chief, India Cements (owner of CSK) big man, the non-T20 goer, non IPL follower, Mr. N. Srinivasan. IPL big fellows are really interesting. They get selected, or elected, or sit on occupied seats themselves so that they do nothing much during the office hours and later when they are supposed to do something in a situation of crisis, they bark at others to resign, while still not doing anything about it. I think the floor is weak and all the chairs at the IPL office are broken. Nobody wants to stand up to the situation. Nobody wants to put himself above everyone else and say “We have a situation here. Let’s solve it before it becomes a problem.” Their attitude is more like, “Dude, the coffee machine is not working again? You $%!^*$^%$!*^. Resign right away.” And then after the old fellow steps down aside, a new fellow takes up the post with no responsibility of what has happened and no ownership of the events that has dented the credibility (whaaa?) of the league. I still don’t know why Rajiv Shukla resigned. I mean, I still don’t know why he was made the IPL Commissioner in the first pace. I need at least one answer. I can conjure a blogpost for the other answer. You know the league is absolutely funny when you are laughed at by the man who was ousted from the same league for corruption, who banned other leagues so his can be the sole runner, who hid himself in the UK where he got into more trouble by pulling another cricketer to fight in a court on match fixing charges and then lost the case and then got sued by the cricketer, which of course he claims he can’t pay because he got bankrupt, which he tweets from his PC from a home in London where he is staying on an expired Visa while being the President and Director of a business group. Mr Lalit Modi is awesome in some ways. I know. The IPL is saved. Jagmohan Dalmia will save it. This entry was posted in Cricket and tagged Cricket, Dalmia, IPL, Lalit Modi, match-fixing, Rajiv Shukla, spot fixing, Srinivasan. Bookmark the permalink. This IPL season was not fun to be honest, because it was full of spot fixing issues and gambling in games. However we can say after this news IPL got attraction from spectators because Indians are cricket lovers so they done it.